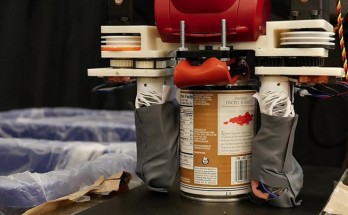 RECYCLING: Robots that can sort recycling. A team led by researchers at MIT's Computer Science and Artificial Intelligence Laboratory (CSAIL) has developed a robotic system that can detect if an object is paper, metal, or plastic. INNOVATION: Recycling 220 pounds of diapers in a single hour. It takes hundreds of years for disposable diapers to decompose in landfills – but this new machine can turn 220 pounds of dirty diapers into clean, raw materials in a single hour. UPCYCLING: Practical purposes for potato peels. 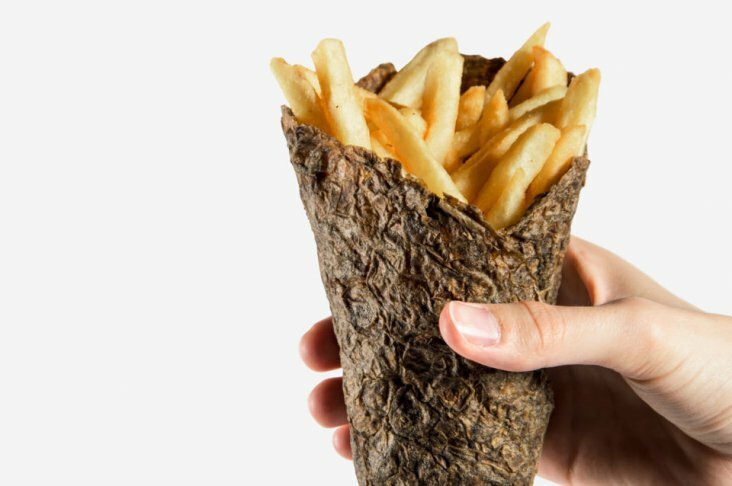 Students from Nuova Accademia di Belle Arti in Italy developed a cone to hold French fries made from potato peels, while the start-up Chip[s] Board developed an MDF-like board material made from peel waste. 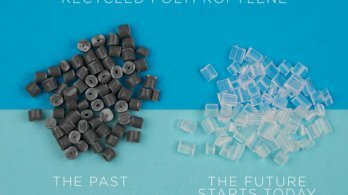 Pure-Cycle Technologies treibt die Inbetriebnahme einer ersten Recyclinganlage voran, um Altpolypropylen in einem revolutionären Verfahren zu neuwertigem Polypropylen (PP) aufzuarbeiten. 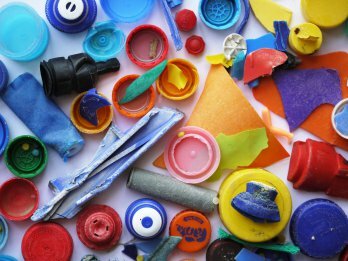 CIRCULAR ECONOMY: Bio-Plastic skin made from animal waste. 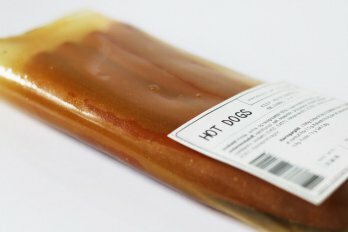 Valdís Steinarsdóttir uses animal hides to create a plastic-like material which can then be used to package meat products from the same animal. 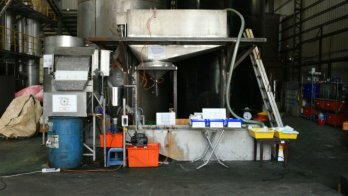 Eine von Henkel entwickelte Software zur Recycelbarkeit von Verpackungen hat den kritischen Praxistest bei Fraunhofer-Forschern bestanden. 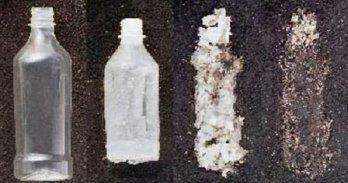 Bioplastic sounds like a welcome eco-alternative to the many plastic products we use daily. But the reality isn't so simple. CIRCULAR ECONOMY: Zero Waste Bistro built from recycled food packaging. 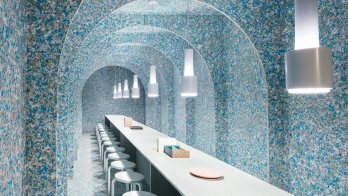 A pop-up restaurant that is built from recycled food packaging and that composts all of its leftovers was set up at the WantedDesign Manhattan fair. 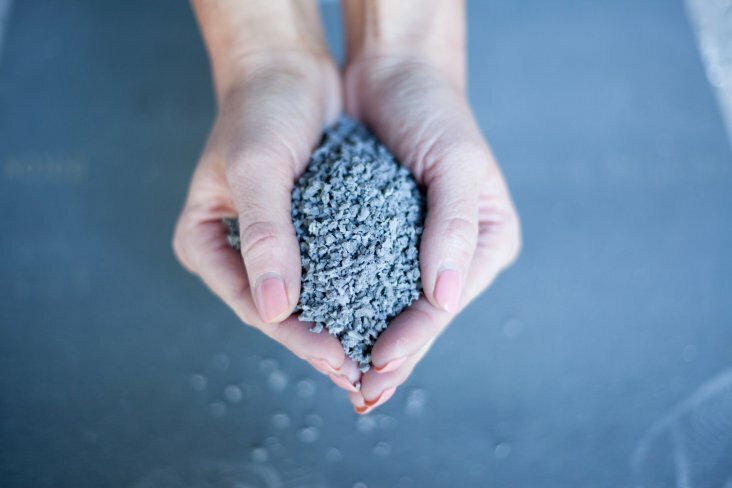 RECYCLING: A Swedish flooring company and its in-house recycling facility. In this Dezeen article about Bolon, Michaela Ljungdahl explains why the flooring brand invested in a vinyl-recycling plant for its factory in Sweden. 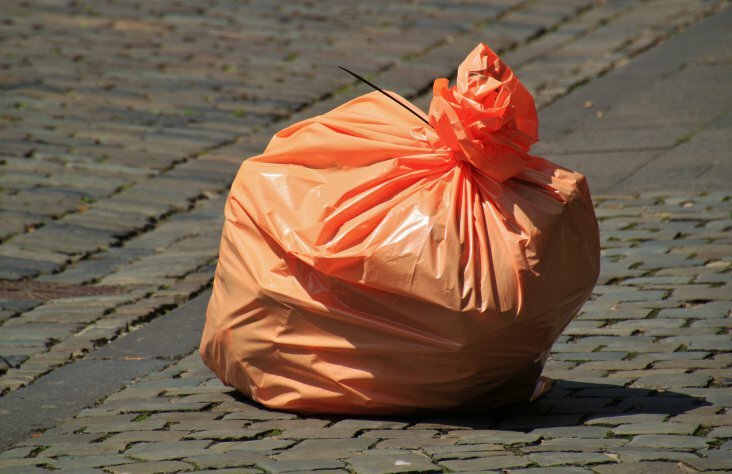 RECYCLING: Netherlands moving towards full plastic recycling by 2025. The Plastic Pact agreement tends to make producers fully responsible for plastic packaging and manufacturing. Plastic waste is one of the biggest problems of our days. We inform you about how to reduce waste, how to separate recyclable waste and what people do to solve this problem. NØDDEBAZAREN: Organic Food in Retail Shops. Nøddebazarens organic retail nuts are wrapped in a Repaq cellulose based film and a Cradle-to-Cradle cardboard box from KLS Pure Print. NORDHELD: Natural dog food made in Germany. Repaq protects the dog food against UV radiation and the migration of mineral oil.